Candle light bulb B22 BC bayonet cap LED 4 watt warm white 2700K dimmable. GLS light bulb B22 BC bayonet cap LED 7 watt warm white 2700K dimmable. Golfball light bulb B22 BC bayonet cap LED 4 watt warm white 2700K dimmable. Candle light bulb E27 ES edison screw LED 4 watt warm white 2700K dimmable. 125mm Globe vintage clear light bulb E27 ES edison screw LED 7 watt warm white 2700K dimmable. 125mm Globe vintage tinted light bulb E27 ES edison screw LED 7 watt warm white 2700K dimmable. 80mm Globe vintage tinted light bulb E27 ES edison screw LED 2.5 watt 2200K non-dimmable. 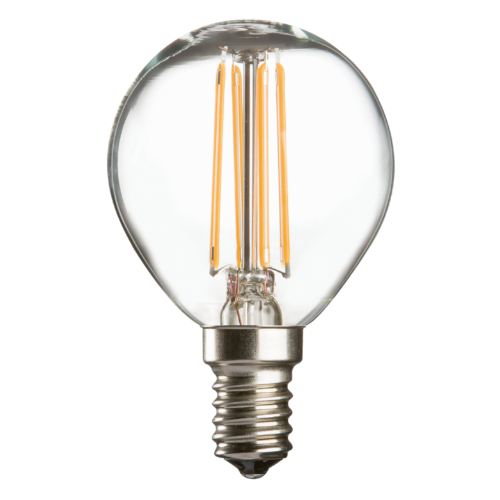 95mm Globe vintage clear light bulb E27 ES edison screw LED 7 watt warm white 2700K dimmable. 95mm Globe vintage tinted light bulb E27 ES edison screw LED 7 watt warm white 2700K dimmable. GLS light bulb E27 ES edison screw LED 7 watt warm white 2700K dimmable. Golfball light bulb E27 ES edison screw LED 4 watt warm white 2700K dimmable. R63 reflector light bulb E27 ES edison screw LED 7 watt warm white 3000K non-dimmable. R80 reflector light bulb E27 ES edison screw LED 12 watt warm white 3000K non-dimmable. 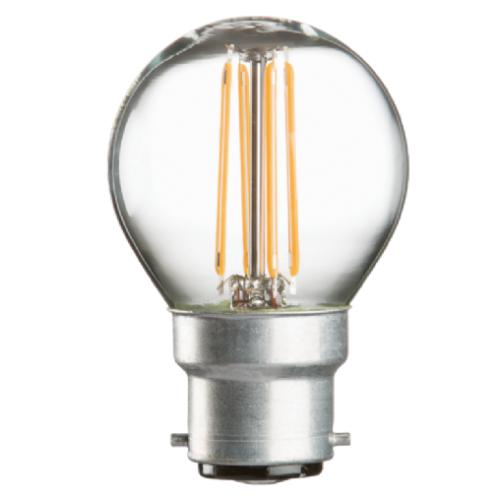 Squirrel cage vintage clear light bulb E27 ES edison screw LED 7 watt warm white 2700K dimmable. 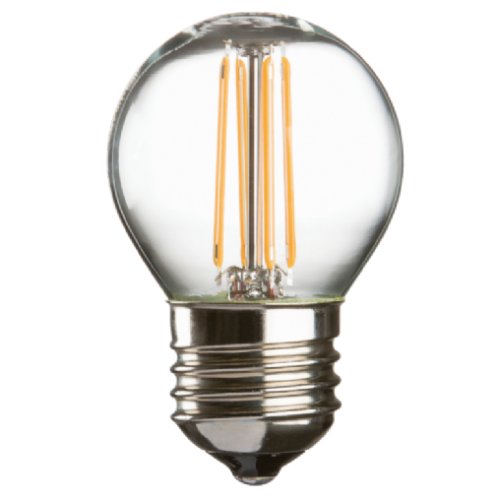 Squirrel cage vintage tinted light bulb E27 ES edison screw LED 7 watt warm white 2700K dimmable. G9 capsule light bulb LED 2 watt cool white 4000K non-dimmable. G9 capsule light bulb LED 2 watt warm white 2700K non-dimmable. G9 capsule light bulb LED 3.5 watt cool white 4000K dimmable. G9 capsule light bulb LED 3.5 watt warm white 2700K dimmable. GU10 light bulb LED 5 watt cool white 4000K dimmable. GU10 light bulb LED 5 watt day light 6000K dimmable. GU10 light bulb LED 5 watt warm white 3000K dimmable. Candle light bulb E14 SES small edison screw LED 4 watt warm white 2700K dimmable. Flame tipped candle light bulb E14 SES small edison screw LED 4 watt warm white 2700K dimmable. Golfball light bulb E14 SES small edison screw LED 4 watt warm white 2700K dimmable. R39 reflector light bulb E14 SES small edison screw LED 4 watt warm white 3000K non-dimmable. R50 reflector light bulb E14 SES small edison screw LED 7 watt warm white 3000K non-dimmable.